Our Team | Star-Ting Inc.
Our Directors and senior team of dedicated professionals are innovative leaders providing services above the standards of excellence as specialists in qualitative analytics. We are the first to “quantify qualitative ™data. Our unique Process to Integrate Quantified Qualitative Data into Analytics is patent pending. Our team drives Responsible Risk Management® into the digital age with this new approach. As Director and CEO, Loreen is accountable for the overall governance and leadership of Star-Ting Incorporated’s strategic, enterprise and operational performance. Loreen’s specialized capabilities include: decision making and data analytics as well as COSO ERM, ISO 31000:2018, COGEH and other risk methodologies. Loreen is accredited from the University of Toronto, as a Certified Risk Management Professional (RIMS-CRMP). Additionally, she attained the designation of a Certified Management Consultant (CMC) fostering excellence and integrity in the management consulting profession and delivering ethical standards with professional competency. Completion of Meritus University’s Faculty Training Program with the APOLLO Group as an Adjunct Instructor, Loreen successfully completed six faculty class assignments. She earned a post-graduate degree from the University of Phoenix, Master of Business Administration (MBA). She completed a BA Geography undergraduate degree from the School of Geography Geology re-named Geography and Earth Sciences, McMaster University. Successful fulfilment of contracts. One example, mitigated data information systems for Imperial Oil Resources by assisting Imperial’s Decision Unit Managers across B.C. A.B. SASK, and NWT resulted in the successful implementation of live global communications system. 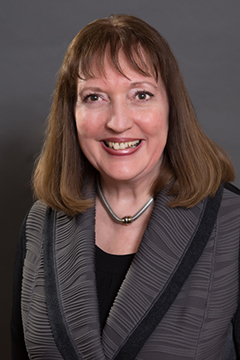 Her multi-industry experience extends over 35 years, starting in banking where she balanced Bank of Montreal’s cash book. Then as a Director for a residential and commercial security company managing 200+ accounts. Active in community, current industry associations include: Canadian Energy Executive Association (CEEA); Canadian Heavy Oil Association (CHOA) former Chair Communications and External Relations; CMC-Canada, Calgary Petroleum Club; Canadian Society of Petroleum Geologists (CSPG); Canadian Society of Exploration Geophysicists (CSEG); Canadian Well Logging Society (CWLS): Impact Group (LIG); Modern Miracle Network (MMN); Petroleum History Society (PHS) former Secretary for the Board; Risk and Insurance Management Society (RIMS); Supply Chain Management Association (SCMA) Giving Back Task Force and Editorial Board sub-committee for the Flagship-Supply Chain Canada publication; and the United Conservative Party (UCP) as former Mackay Nose Hill VP Policy where she was instrumental in submissions for the new constitution. Multiple bestselling Kindle Author for business, communication and leadership books: “The Book on Business Skills for Today”; “The Book on Leadership Skills for Today”, available on Amazon. Co-Keynote March 27, 2018 in Silicon Valley with the event’s sponsor, David Bradford, Co-founder, Chief Strategy Officer and Director of Strategic Partnership Development for Advisen Ltd. at the Silicon Valley Insurance Accelerator (SVIA) InsurTech Fusion 2018 Enterprise Risk, San Francisco, USA. Panel speaker at the 2018 National Privacy and Data Governance Congress (PACC-CCAP) on March 6-8, 2018 at the Carriage House Inn, Calgary, AB. As Director and Operations Chief for Star-Ting Incorporated (STI), Paul brings 43 years of industry and military experience in the Communications and Electronics Branch to the table. He is co-founder and key benefactor of the corporation and provides a judicious understanding of quality and value to clients and employees alike. He believes if a job is worth doing, it is worth doing right and lives by that principle. Paul has strength in leadership and working with teams. He was promoted to the rank of Master Warrant Officer in the Canadian Forces while serving on bases and stations across Canada and in the Middle East between 1972 and 1997. He served in technical capacities on communications, research and training units across Canada on both Air and Army units in increasingly responsible positions culminating with the position of Technical Maintenance Chief at a western Canadian Supplementary Radio System station. In this role, he was responsible for all communications equipment maintenance on the station as well as representative to the National Technical Conference on maintenance policy, practices, responsibilities and future direction for the System. 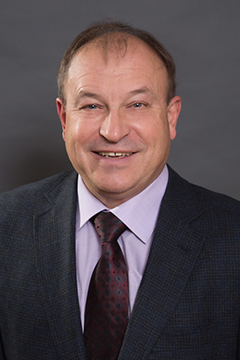 Paul retired from the Canadian Forces School of Communications and Electronics in 1997 where he managed a large team of instructors developing and instructing office automation software. He joined Computing Devices Canada in 1998, subsequently General Dynamics Mission System – Canada, where he was extensively involved in the development, product and system level design proving, verification and validation of the IRIS System, a state of the art communications system and subsequent upgrades and enhancements. He was intimately involved in the delivery of this advanced communication system to the Canadian Army serving as technical and test coordinator for two major fielding hubs between 1999 and 2003. He has provided similar support to a several national and international programs entered into by General Dynamics Mission Systems – Canada. Paul is well versed on requirements development, verification, validation and management and provides a keen insight into the development and test of the RESP-ROI® Responsible Risk Management® tool. Director and President of Expert Allocation Services Inc, Wayne joins Star-Ting Incorporated’s team as Chief Engineer in the development and deployment of RESPONSIBLE RISK MANAGEMENT®. 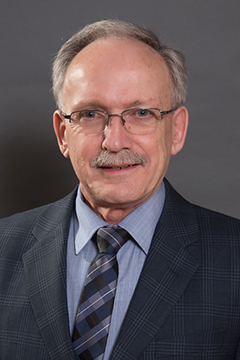 Wayne is a Chemical Engineer with 37+ years of business experience in the Canadian and international O&G industry. Wayne specializes in Field Data Capture (FDC); Production Accounting (PA) support; product allocation methodology design, development and implementation; regulatory compliance and reporting support; joint venture auditing; measurement compliance and auditing; operations business support; and design, development and support for the software applications utilized by various clients in the PA and FDC areas. Wayne is registered with APEGA as a professional engineer. Wayne successfully completed projects on budget and on-time for oil and gas operators (upstream and midstream) including: Canbriam Energy Inc., Crew Energy Inc., Arriva Energy Inc. (now Petrus Resources Ltd.), Phoenix Canada Upstream (Canadian division of CNPC), ConocoPhillips Canada, Scollard Energy Inc., Exoro Energy Inc., UGR Blair Creek Ltd., AltaGas Ltd., Bonavista Energy Corporation, Terra Energy Corp., Tourmaline Oil Corp., Murphy Oil Company Limited, and Canadian Natural Resources Limited (CNRL) and most recently for Elite International and Woodside Energy Ltd. in the international industry as well as numerous other companies. Achieving the successful execution of internal and/or joint venture audits included applying Wayne’s expertise and knowledge of measurement, product allocations, and product pricing. Other projects entailed support and development of new gas plant facilities during the regulatory application process with the BC OGC to ensure compliance with the regulations for proper allocations and measurement. In some cases, these applications were for cross border deliveries between BC and Alberta. Other projects entailed the development and execution of an Liquid-Gas-Ratio (LGR) testing program. Wayne was instrumental in testing programs and supplying project reports to ensure compliance and communication goals were met. Several projects delivered risk based analysis for financials, budgeting and decision support for technical deferments for the clients.